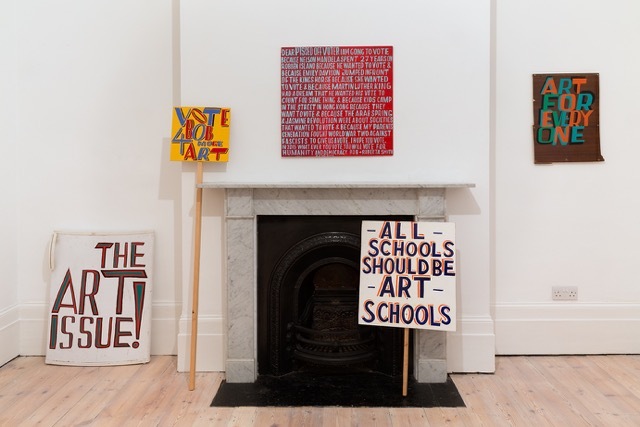 Handel Street Projects is pleased to announce Bob and Roberta Smith’s Why I Am So Angry, an artful stand against government attacks on art. 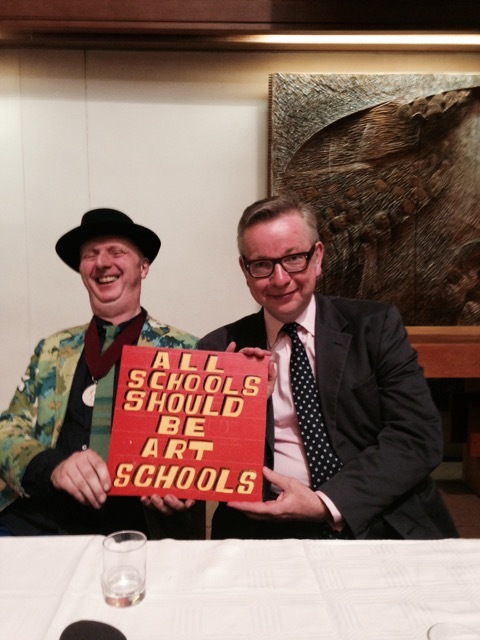 Come and support Bob’s campaign in Surrey Heath against Michael Gove, who paved the governments disregard for the arts continued by Nicky Morgan, the Education Secretary, with her shocking statement that choosing art subjects held back children’s career opportunities. 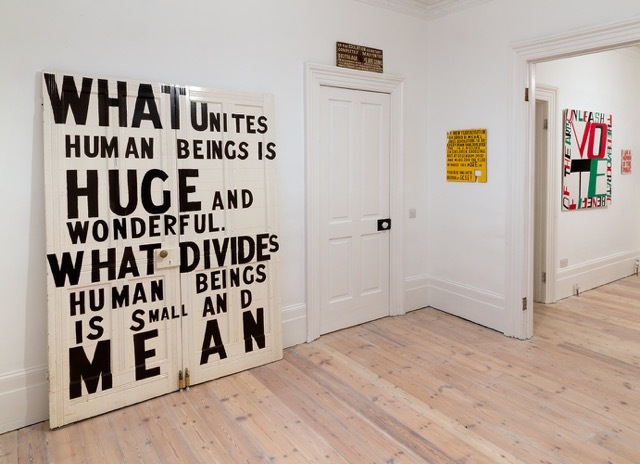 In his recent article in The Guardian newspaper Bob says: Since announcing my intention, I have received a surprising amount of support, although some people have mentioned that the economy, the NHS, housing and immigration might figure ahead of the arts in voters’ thinking. But art is central to how we live. Even in terms of money, the arts return £4 to the economy for every £1 of public investment. The government’s own website states that the creative industries contribute £71.5bn to the economy or £8m an hour. With regards to NHS, there has been extensive research into the mental wellbeing gained from engagement from the arts. Good housing is all about design – everything from your car to your carpet has been designed by human beings armed with nothing more than blank sheets of paper and pencils. The arts are about starting a conversation. Whereas government restrictions on immigration slow down and stifle touring productions, migration contributes to our culture and makes the arts stronger. It is also true that in a time of difficulty, culture can bring hope. 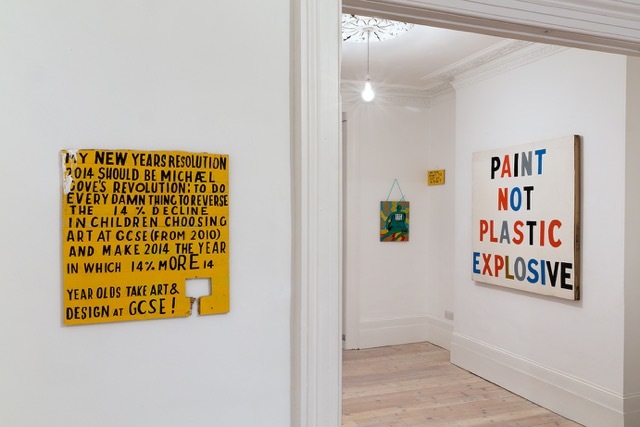 Bob and Roberta Smith has been on the forefront of British art since the eighties. He is known for his politically engaging slogans and has been curator of many art projects like Art U Need and Peace Camp. 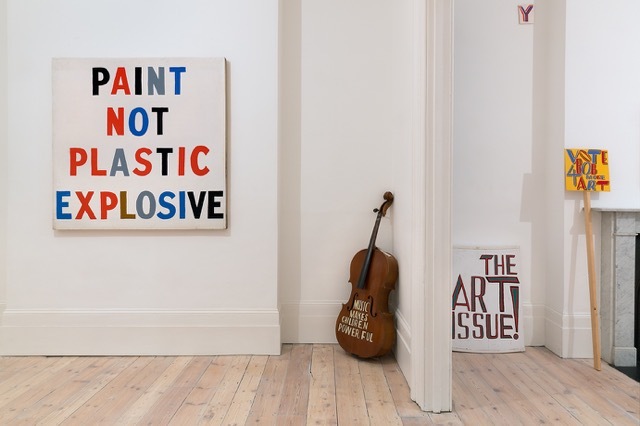 In 2013 Bob and Roberta launched the Art Party, which seeks to better advocate the arts to the Government. He has showed internationally and their work is in many important collections including Tate and British Council. Patrick Brill performs music with Ken Ardley Playboys, the group he co-founded and Apathy Band. He is an associate professor at Sir John Cass Department of Art at London Metropolitan University.